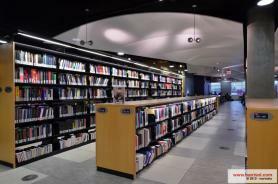 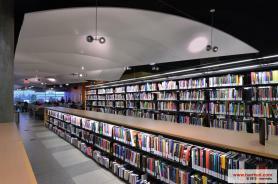 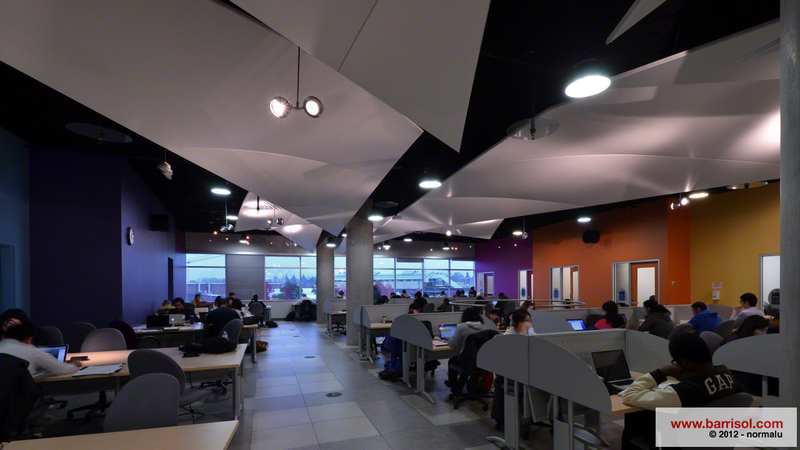 Creation of suspended ceilings with micro-perforated membranes. 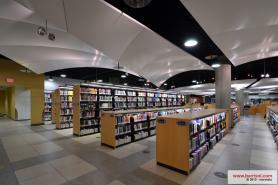 An original project with excellent acoustic properties, thanks to the BARRISOL stretched ceiling system. 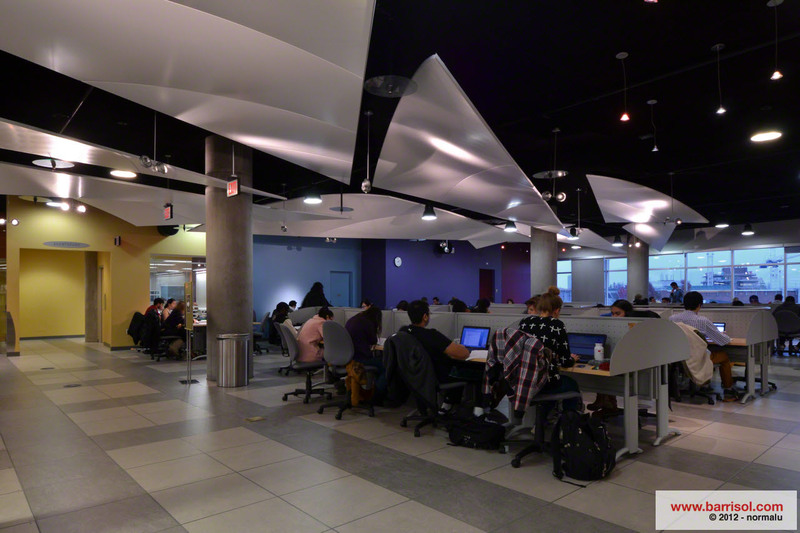 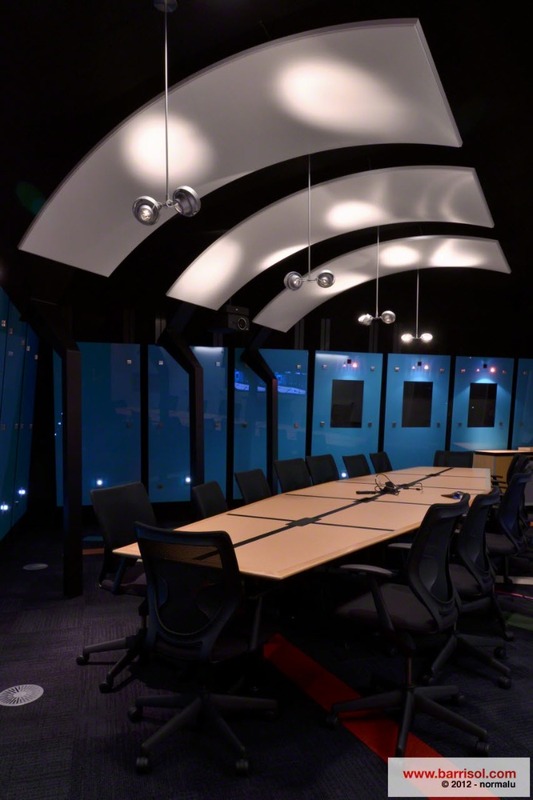 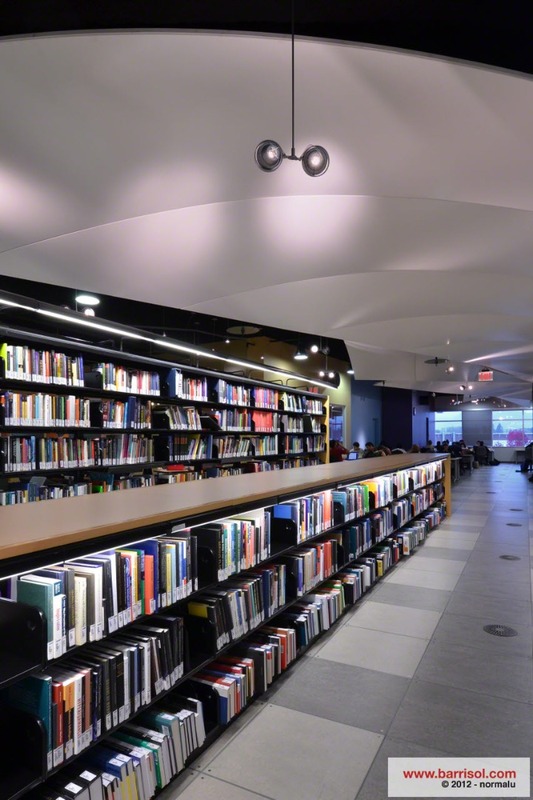 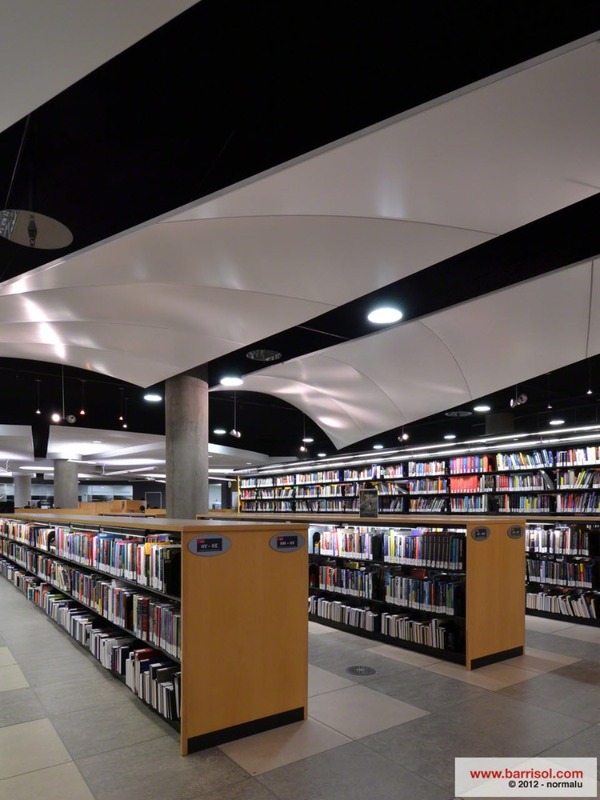 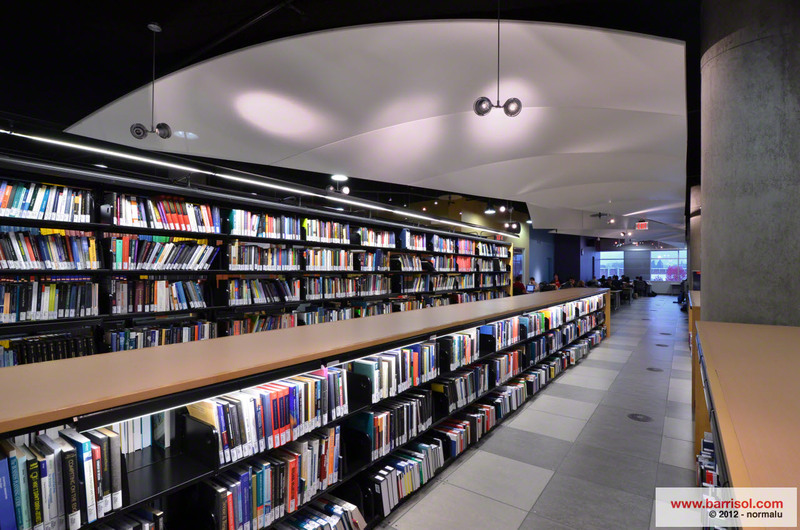 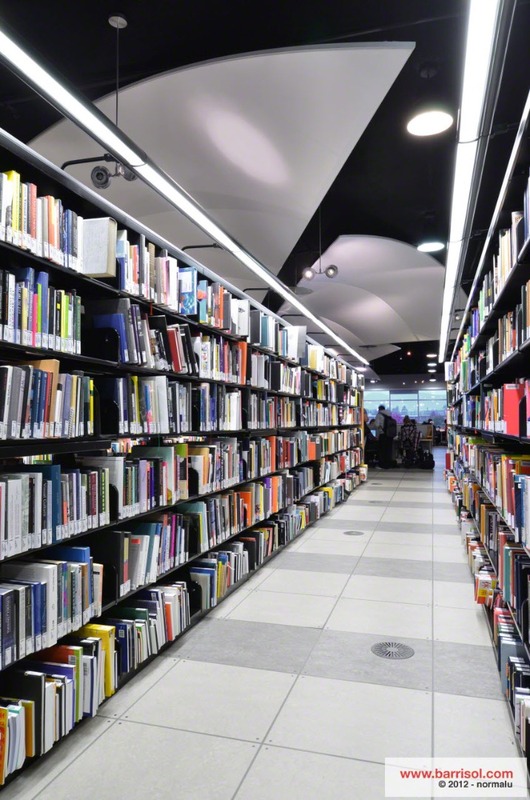 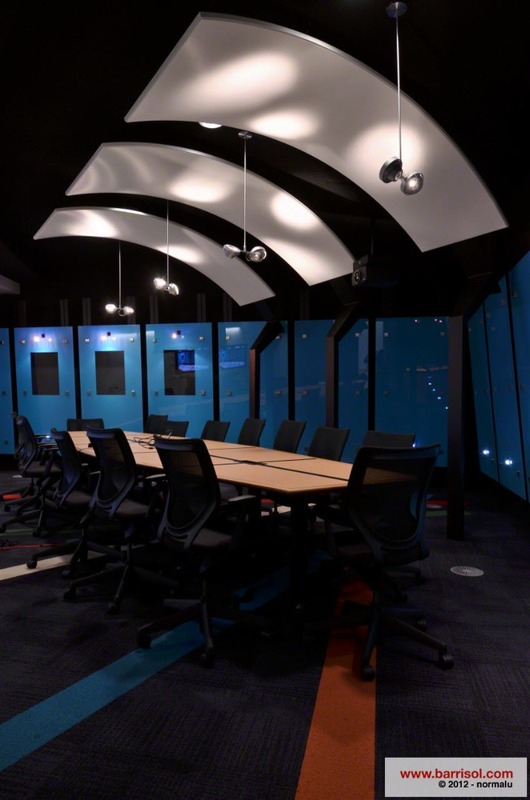 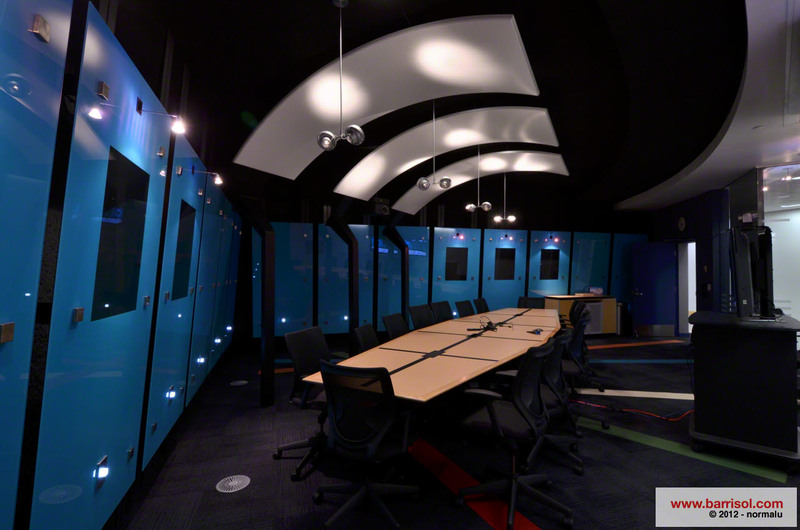 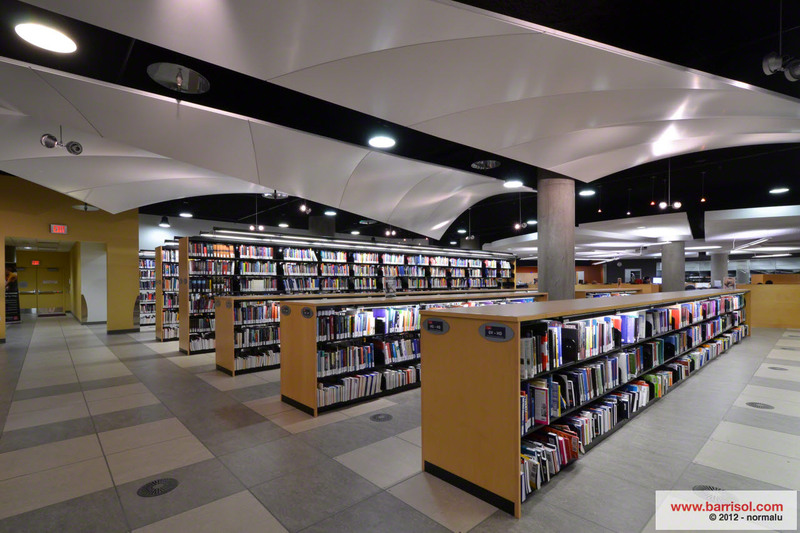 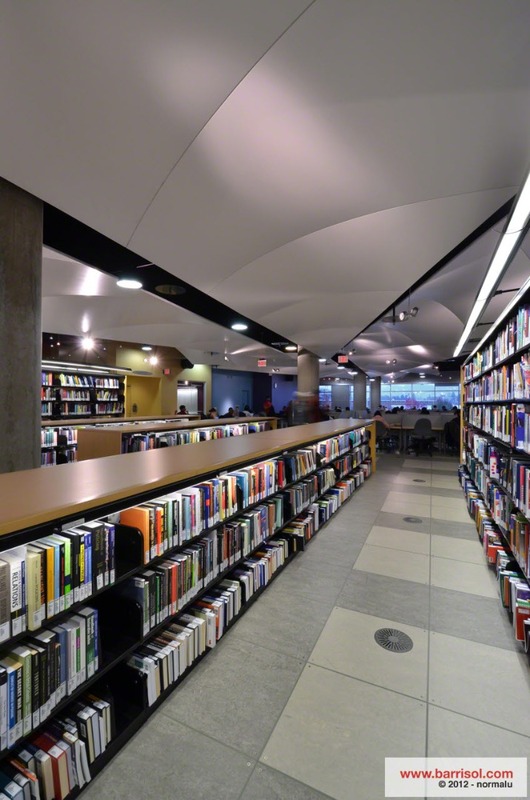 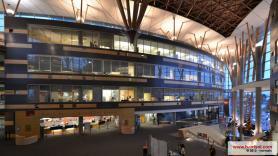 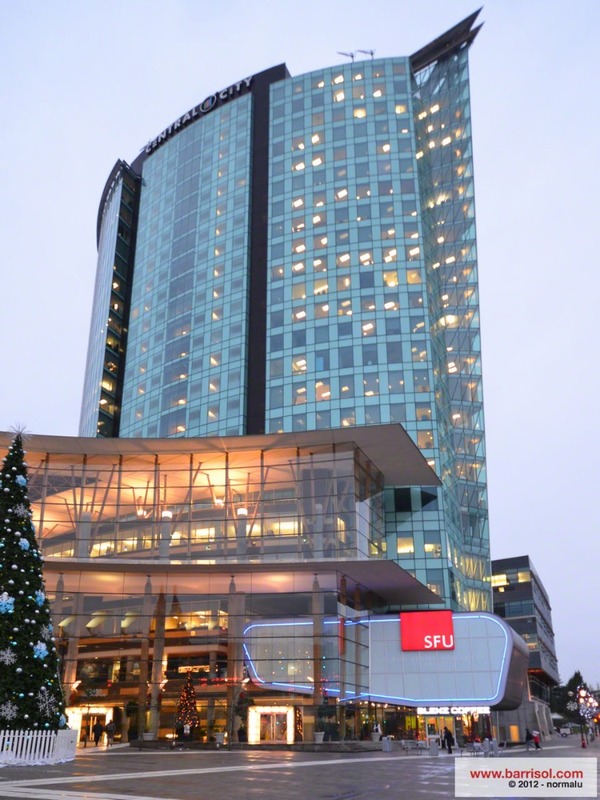 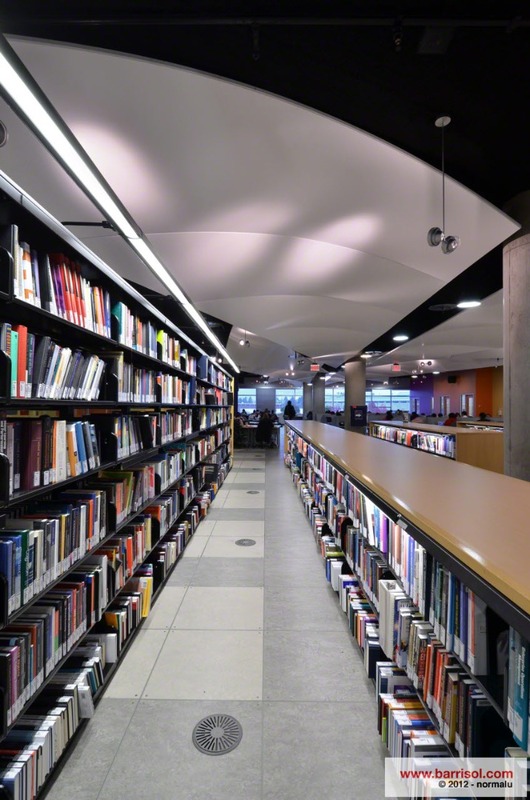 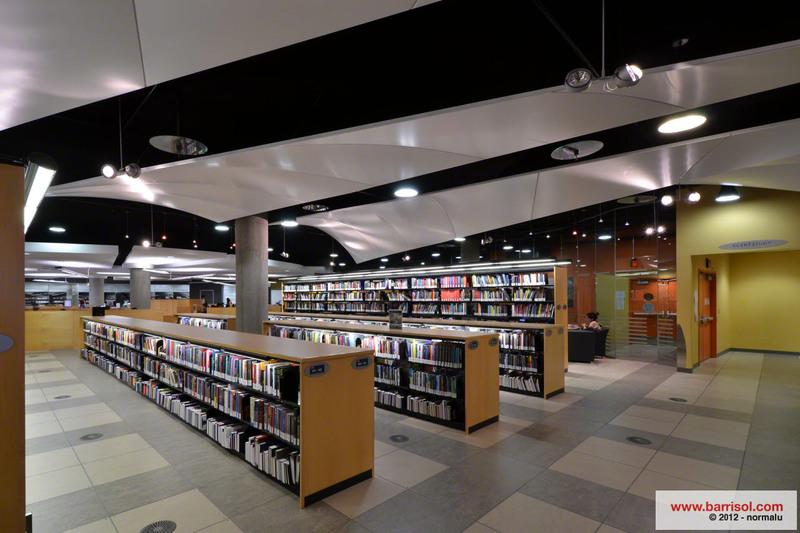 Renowned for the quality of their curriculum and teaching, Simon Fraser University (SFU Library) in British Colombia opted for an acoustic solution to improve their students' work environment. 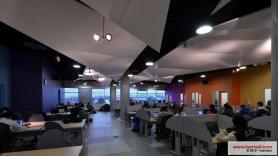 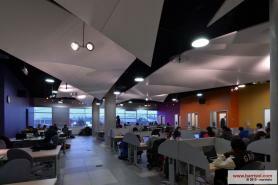 The large covers adorn the ceiling and offer a pleasant and serene atmosphere conducive to study time. 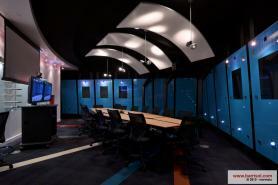 The sound solution offered by Barrisol improves the acoustic and aesthetic comfort of the place! 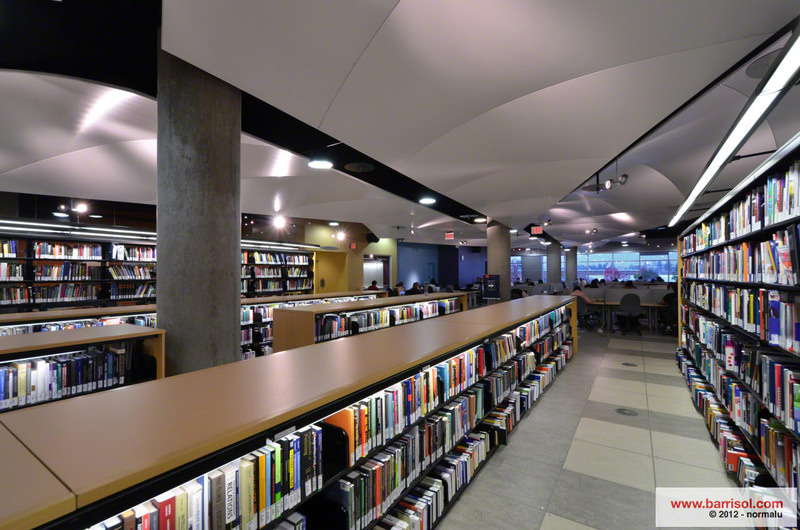 The Barrisol matte white finish maintains the space for the future, maintaining the same contemporary look and purity of style.